The Winter 2016 issue of the Municipal Leader is now online, and it’s about elections – especially the upcoming Provincial election. 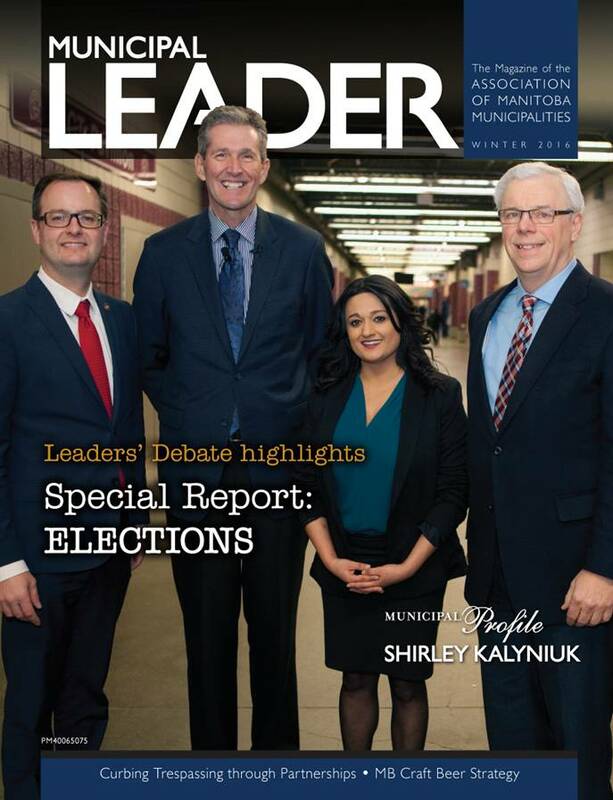 Get all the highlights from our Leaders’ Debate, find out why Winnipeg Mayor Brian Bowman proposes a new funding model for municipalities, get FCM’s take on the new federal government, and even read about how local elections are run in Ukraine. This issue also features articles on battery drives, energy savings and financing water and wastewater infrastructure, and a look how craft beer is brewing in Manitoba.